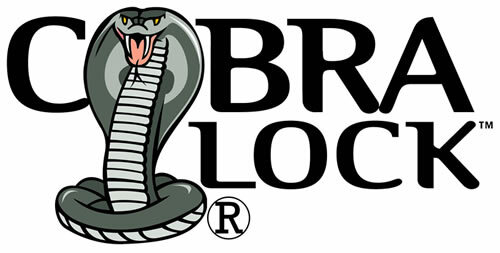 Please note that we offer custom engineered solutions to meet specific customer needs. Smart storage standard or custom built, electronically controlled lockers can be modified any number of ways to accommodate the needs of your facility. Firearms, medical equipment, shop tools, expensive electronics, etc. – our locker solutions are in place around the world controlling local and distributed access to a range of high-value assets in all shapes and sizes. 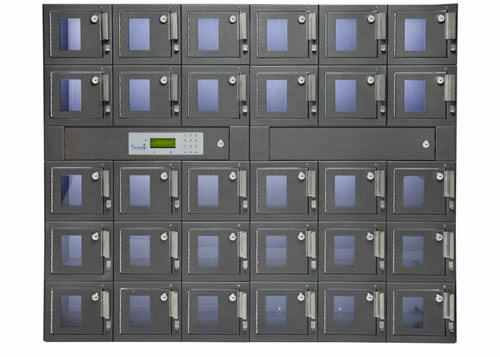 Locker arrangements can be designed as stand alone units or can be setup to work in conjunction with a Security Asset Manager™. Locker systems can be combined with individual asset tracking allowing you to monitor and control both the locker and its contents. This particular unit is ideal for weapons tracking, especially when combined with the KSI® Smart Insert. 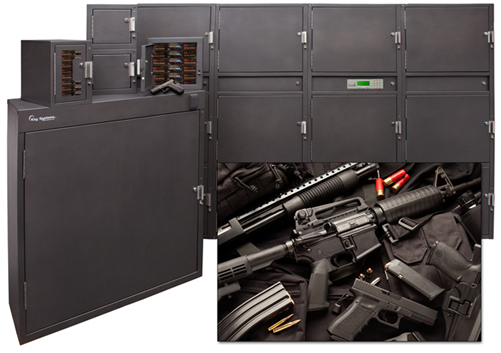 Many of KSI's Security Asset Managers™ (SAMs) as well as SWATBoxes® are available in "Direct Control" versions. These are units from which the embedded systems that power our standard devices are omitted. This option may appeal to those who seek direct control over every position and door of a particular device, without intermediary computing hardware and/or software. Direct Control SAM's are ready for access control, featuring clearly marked pass-through row boards with screw terminals for easy connection to an existing control system. 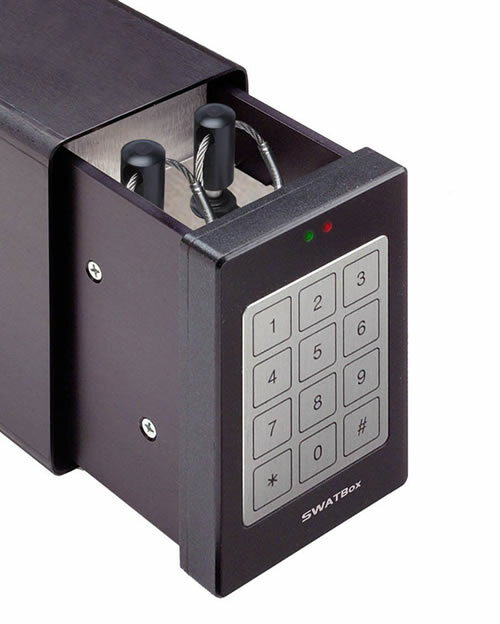 In addition, Direct Control SAM can include almost all options* found in the standard SAM line, such as a variety of lock types, direct entrapment of important master keys, compatibility with Tamper-Proof Key Rings and more. 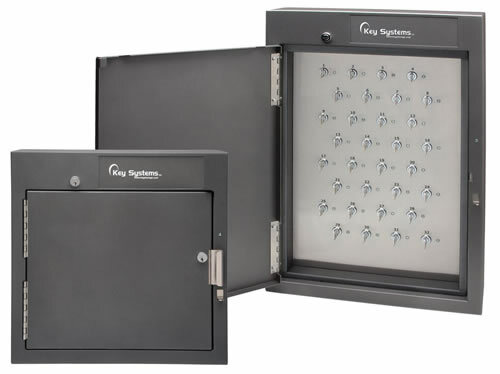 The SWATBox® features an embedded install which conceals physical assets within your facility wall and away from public view. Use PIN, ID device, bio-metric finger scan or any web enabled device (e.g., laptop, smart phone) to gain access to assets on the spot. The customizable interior cavity may hold cards and keys or act simply as a locked drawer. Our solar powered model allows you to secure and monitor assets in remote or unmanned locations. For Information on our Chit Boxes and Panels Click HERE.